Warning ~ You need to read the previous EiT books before reading these. These novellas do have spoilers for the previous books and so will my review of them. 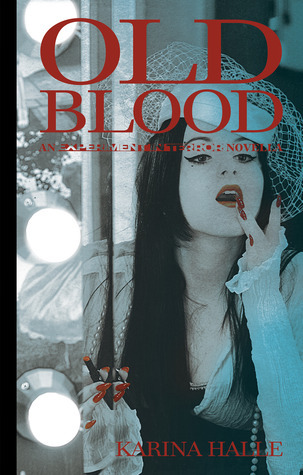 This short little novella is all about creepy clown lady, Pippa. When Perry discovered Pippa’s message to her and Dex on the EVP recordings, she thought she heard the last of the old woman’s message. She was wrong. Pippa leaves another message meant for both Dex and Perry. This story is Pippa's second EVP message. It is the story of her life. From her birth to her death. We get to see how old she was when she discovered she was different. When she left home to be come an aspiring actress. Her first love. We see the events of her life that lead her to meeting Dex when he was a little boy, and spending time with him. I really enjoyed this part of the book, getting to know a bit more of Dex's background and seeing what he was like as a child. We also learn about Perry's mum's relationship with Pippa and the things that Perry's mum does to her to shape her fate. And we learn about her death. But this story has a point - Pippa is telling her story to warn Perry of the danger she faces, to explain why she has been there watching Perry. She hopes this will help both Dex and Perry understand that sometimes the worst danger is often from the place you least expect and that they can help each other. This novella was a very easy read. It was interesting to know more about Pippa and intriguing to learn about the dangers Perry faces and why. It was interesting to see what Dex was like as a child. It also helped explain about a presence in Perry's past. A great little addition to the Experiment in Terror series. 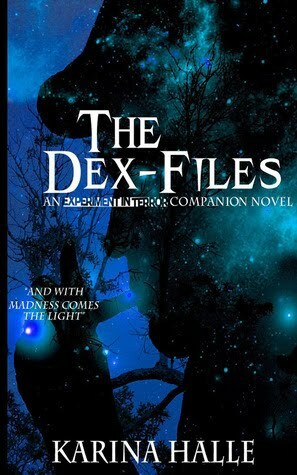 This little 139 page novella is all about Dex - told from his point of view.
" And I'm a hypocrite because I judge people. I judge the f out of everyone I meet, from their music tastes, to their jobs to their lifestyle choices. I judge them but f them if they dare judge me. They think they understand the monster in me, the monster in all of us. But they don't. They don't know where I've come from. They don't know my side of the story. This book covers various scenes from the previous books but from Dex's point of view. We also get to see some insight in Dex's life before Darkhouse takes place - We get to see and understand a bit more about his childhood through his eyes, we see when Dex met the Douchecanoe Maximus and when he meets Abby. The scenes from Darkhouse include when he meets Perry for the first time, I have to say I was a bit underwhelmed with this scene. I loved reading the scenes from Red Fox, seeing how Dex's feelings were growing for Perry and how he was fighting it. I was however disappointed that Karina hadn't included the scene at the end of Red Fox where they kissed for the first time. I know they only did it because they thought they were going to die, but I think it would have been nice to include. "if you look up biggest douchebag in the dictionary, you'll see my picture"
Lying season was obviously an important book in Dex and Perry's relationship, so these scenes were great reading from Dex's point of view, it was like finding the final pieces of a puzzle and then seeing the picture for the first time. Getting inside of Dex's head here really helps you understand why he did some of the things he did. It helped me forgive him. Finally scenes from On Demon Wings, there were three scenes from this book and the best bit was that you'd actually only experienced one of them - one included the phone call Dex got from Ada asking for help and the other follows on from the end of ODW when Dex and Perry were split up. So did I enjoy being in Dex's head? Yes I did. He's always been a mystery in the previous books, and although you're pretty sure that he does have feelings for Perry, he's so all over the place sometimes that you can't actually be sure what he wants. This book helps you piece everything together. And if you didn't love Dex before, you definitely will now. Yes he's very crude a lot of the time, he has been a manwhore, but he's very funny, charming and has more to him than you think. My only issue about this novella is just that, it's a novella and I would have liked it to be longer, a full book, with more scenes from the previous books, but also scenes that aren't included. For that reason I can't quite bring myself to give it 5 stars.